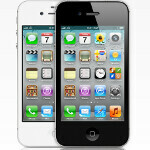 Want to know if you're eligible to buy the Apple iPhone 4S at the subsidized price? O.K., you have decided that your next phone will be the just introduced Apple iPhone 4S, but you are not sure if you are eligible for an upgrade from your carrier. Those who have the ability to upgrade to a new phone can pay the much ;lower subsidized price for the device. For example, instead of paying $649 for the 16GB model, being eligible for an upgrade would cut that price to $199 as long as you sign another 2 year contract. While each contract you sign is supposed to allow you to purchase a new phone at the subsidized price every 18-24 months, when a hot new model is released, it is up to the discretion of the carrier as to whether or not they will allow you to upgrade early. 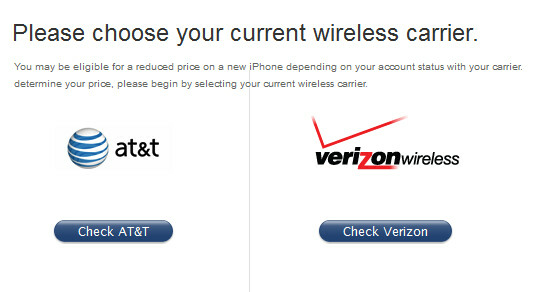 If you are currently on Verizon or AT&T, you can click on the sourcelink to see if you qualify for the lower pricing. And no, we have not forgotten Sprint. The nation's third largest carrier joins the Apple iPhone club with this launch, but the upgrade information for the carrier will be added later, according to Apple. Only spec which was expected that didn't happen was a bigger screen. Apple has all the other specs that were rumored. Again apple ? Enough ! I am a huge Apple fan (not a fanboy) but I have to say that I am very disapointed. this phone will not be a huge success because most iPhone users wont upgrade..... I know I wont be! the 4s is more about expanding their customer base than getting current customers to reup (but, the will get plenty of that too) in addition to sprint, the 4s will be available on many more carriers than the 4 world wide. they are going to sell an unheard of number of phones. i dont care for the somewhat limited number of hardware upgrades, but im not going to lie to myself about their ability to move them. i think he sleeps with one n prolly makes love to it in the morning. prolly even had a 30 pin adapter surgically attached so he could be compatible. Man this phone is such a huge let down, but this site is littered with nothing but apple stories right now.. Oh well at least it gives me something to read..
Oh come off it PA!!! Enough with the iPhone 4s already!!! I am an owner of the iphone 4 and I am not even remotley interested. Why would I buy my same phone again! The 4 is good enough the Ios is soomth as butter the camera is fine. I think with out Steve Jobs around the Pizzzazz is gone. This version was a let down. Can you now start concentrating on the Google/Samsung event please! lets hear some stuff about that. I'm sick of people talking trash about the 4S. The only thing that you don't like is the fact that it doesn't have a bigger screen and different design. Other than that everything is better. Total agreement. That and no 4g...or WiMax. But I will be upgrading...if eligible, to the 4s from my HTC 3D. I use my cell camera more now than ever before and teh 3D's 5MP camera is horrid. I'm so happy with all my apple products I won't hesitate to purchase the 4s. Haters I'm a Sr. Manager for and IT anaylst firm, not a fanboy. You ARE a fanboy especially if you end your post with and I quote "Haters I'm a Sr. Manager for and IT anaylst firm, not a fanboy." Only a fanboy would make that kind of announcement! Also you might want to spell your profession title correctly. It’s analyst! no douche you're the fanboy. See he's posting on an article about Apple because he likes their products. You are obsessed with bashing Apple products. Sounds like an inferiority complex. Maybe daddy will let you get an iPhone for Christmas. No, no, no. taco50, bad, bad boy! You sound like a broken hurt little man. I guess I would feel the same if my life's hopes & dreams were shattered like the iPhone 4S shattered you. lol Yes I am a fanboy of Android. Yes you are an iSheep. For Christmas I don't want an iPhone 4S, I want an Android quad-core tablet. lol Sounds like you suffer from inferiority complex. Well get your $650 out because you got 22 months until you can upgrade your 3D. why are so many of you android users on a post for the iphone. If the iphone is soo bad and you hate it so much, why are you on a post. I think the reason that you droidbots say anything about the iphone is you know that the android's unstable OS is not ever going to compete with Apple's IOS. Now you can give me as many thumbs down as you want but like multiple people have stated, the only difference between the 4s and the rumored 5 is a bigger screen and a look redesign. That is it and like I've said before, I didn't hear anything when the droid x2 came out looking exactly like the droid x with only an internal upgrade. Sound familiar? What you are demonstrating in your post is that iPhone users (or at least you) don't follow any other technology out there. Kind of like driving a (name any car brand) and preferring to be oblivious to all other brands. Is there any real reason to bash the iPhone just to be negative? No. But why shouldn't they be reading this? Having owned almost every CDMA phone OS that has been out there, I will only say that Apple didn't manage the buildup to this one that well. I think the negativity from iPhone users is because they were expecting something more. ok cool bro. I had your back. Sometimes these little Fandroids get out of control. Hopefully it doesn't look like ikingtrusts green taco! eww. @nsupport I am not an Apple hater infact if you ask me I am agnostic when it comes to tech (best tech to get the job done). I am also in the IT feild but I don't feel that my title or position validates the mobile technology I choose. As of now the recently annouce 4s does not fit my needs and requirments so I am dissapointed by it I expected more ( and maybe that is the whole thing where Apple went wrong - managing expectations) . I want to see what Google/ Samsung have to offer if I feel it meets my requirements then so be it. Apple has had it's turn with reporting on. so, can PA now move on to reporting what Googles and samsungs offering is shaping up to be. I agree 100%... Apple could have avoided this entire mess by just telling people, prior to this past event, that they will not be announcing the iPhone5. This would have lowered expectations and created a buzz for the iPhone 4S.